Welcome to the Affiliate Center for Magoosh.com Here you can reference the program’s terms and stay up on important updates. Magoosh is a play on the Old Persian word “magush”: one who is highly learned, wise, and generous. Hansoo Lee and Bhavin Parikh wanted to create the product they wished they had when they were prepping for their standardized exams, and wanted to make it better than what was currently available on the test prep market. Combining their experience and skills in education and technology, they sought to push the boundaries of online education, and Magoosh was born. 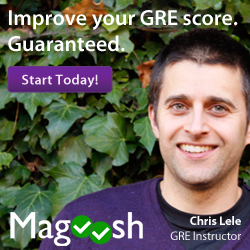 Kaplan GRE, Manhattan GRE , Online GRE prep, GRE practice tests, GRE practice questions, GRE prep, GRE videos, GRE online, GRE questions, GRE tutorials, GRE practice, GRE website, GRE prep course online, GRE schedule, GRE study plan, collegial study plans, study assistance.